Air Arabia will become the first low-cost airline from the Middle East and Africa to enter the Chinese market. Starting on February 10, 2015, the carrier will fly regular non-stop services to Urumqi, the largest city in Western China. Located in the Xinjiang district of China, Urumqi is a modern industrial city of 3.3 million people and a major transportation hub in the region. It has been described as the gateway to the vast region of Xinjiang, which offers some of the best bazaars, hiking, outdoor sports and natural beauty in the country, as well as being the location of large oil and natural gas reserves. 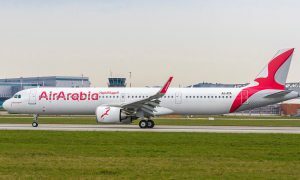 “The Chinese aviation sector has witnessed tremendous growth in recent years and we are delighted to be the first low-cost carrier from the MENA region to play an important role in this incredible story,” said Adel A. Ali, Group Chief Executive Officer, Air Arabia. 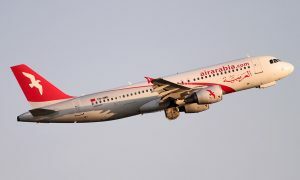 Air Arabia will fly three times weekly to Urumqi from its main hub in Sharjah, UAE. Flights will depart Sharjah International Airport on Tuesdays, Fridays and Sundays at 09:35, arriving at Urumqi International Airport at 18:15 that evening. Return flights will leave Urumqi on the same days at 19:05 and arrive in Sharjah at 20:45. The flight schedule will slightly change between March 29 and October 24, 2015 as flights will depart Sharjah International Airport at 09:05, arriving at Urumqi International Airport at 18:10. Meanwhile, return flights will leave Urumqi on the same days at 19:05 and arrive in Sharjah at 20:20. 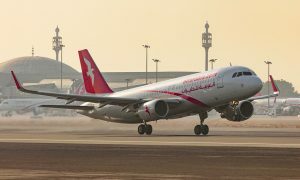 In recent times, Air Arabia has seen its flight network expand with the addition on new routes, such as Cairo in Egypt and Antalya in Turkey, from its main base at Sharjah International Airport. 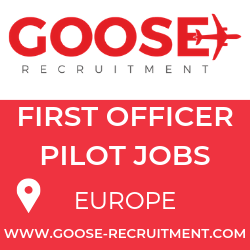 The carrier currently operates from five international hubs, including the UAE (Sharjah & Ras al-Khaimah), Morocco, Egypt and the most recent addition in Amman, Jordan.